Former Chelsea striker Didier Drogba has announced his retirement from playing professional football. The 40-year-old Ivorian made the announcement on Twitter. He enjoyed two spells with Chelsea, making 254 Premier League appearances and scoring 104 goals, the most by an African in the competition. Drogba was signed by Chelsea from Marseille in 2004, in the same summer as Jose Mourinho's arrival, and helped the club win their first two Premier League titles, in 2004/05 and 2005/06. In 2006/07, he scored 20 goals to win the first of two PL Golden Boots. The second came in his most prolific season, 2009/10, when his 29 goals were instrumental in securing Chelsea's third PL title. Drogba also was instrumental in Chelsea's first UEFA Champions League trophy in 2012, scoring a late equaliser against Bayern Munich and the winning penalty in the shootout. After spells with Shanghai Shenua and Galatasaray, Drogba returned to Stamford Bridge to claim his fourth PL title in 2014/15, before finishing his career in the US with Montreal Impact and Phoenix Rising. Drogba also won the FA Cup on four occasions and the League Cup three times. 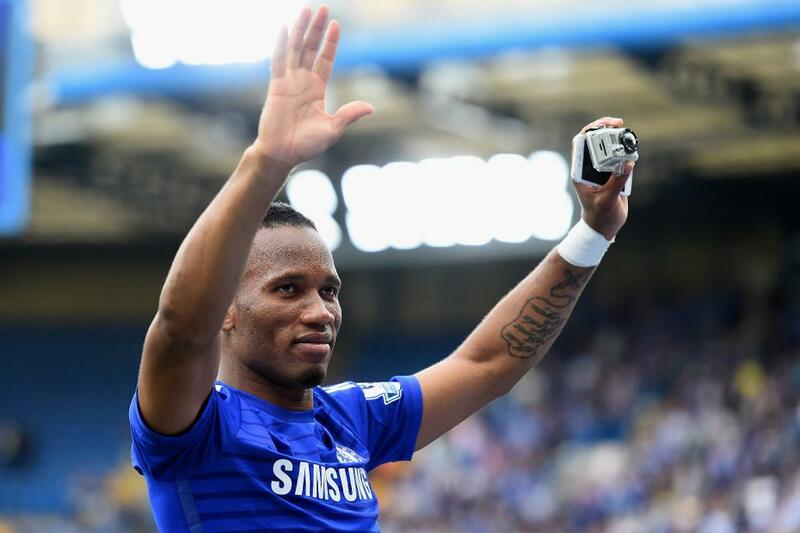 He retires as Chelsea's second-highest Premier League goalscorer after Frank Lampard.